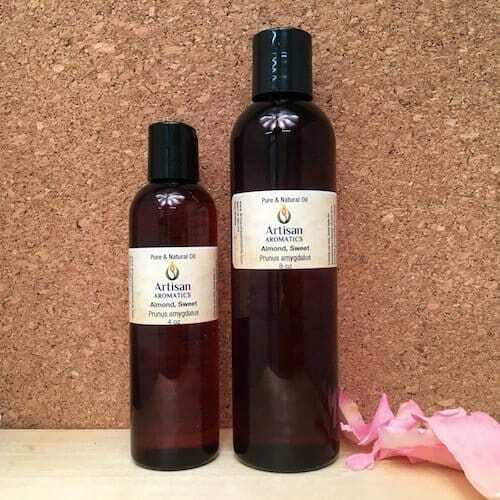 Our Sweet Almond Oil (Prunus amygdalus) is sourced in the USA and derived through the cold expression of the nuts and kernels of the sweet almond tree. 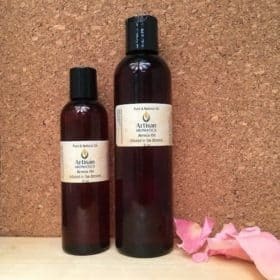 Sweet Almond Oil is said to be a rich source of Omega-6 and 9 and Vitamin E.
Sweet Almond Oil is one of the favorite carrier oils of aromatherapists due to its low odor, reasonable price and reported suitability for all skin types. 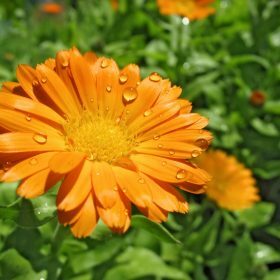 It’s used to nourish, soften, and condition the skin and is a popular ingredient in hand creams, cosmetics and massage oils. People with nut allergies are advised to avoid Sweet Almond Oil, as well as other nut oils. 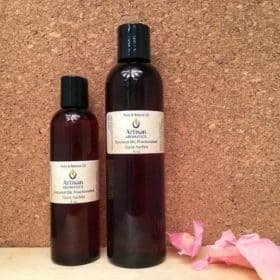 According to Shirley and Len Price (Aromatherapy for Health Professionals, 2ndEdition), Sweet Almond Oil is a good choice for cases of dry, itchy, scaly skin and is generally non-irritating and non-sensitizing. 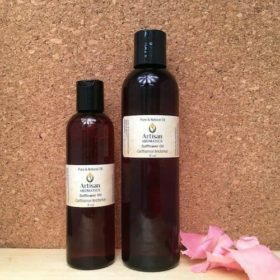 While Sweet Almond Oil has been widely used for massage, you should be aware that it’s absorbed relatively slowly and will leave a slick feel on the body for a time. It’s also known to stain sheets and clothing. 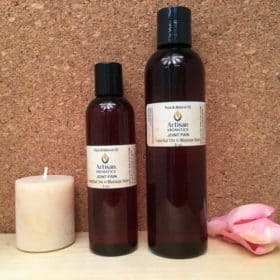 Many massage therapists like to combine Sweet Almond Oil with a more quickly absorbed carrier oil, such as Grapeseed Oil, to get exactly the amount of “glide” that they want for massage. 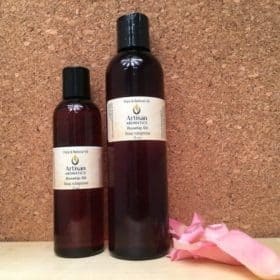 A small amount of Sweet Almond Oil will add “glide” to many more readily absorbed carrier oils. Safety Considerations: People with nut allergies should avoid Sweet Almond Oil and other nut oils; a few people who do not have nut allergies may have allergic reactions to Sweet Almond Oil.